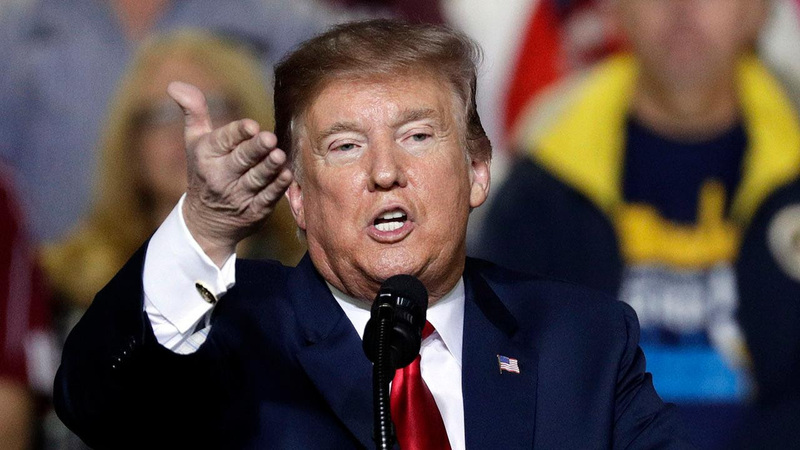 TRUMP HOLDS RALLY IN EL PASO, TEXAS AMID BORDER WALL DEBATE: President Trump held his first campaign rally Monday night in El Paso, Texas; meanwhile, Beto O’Rourke led a border wall protest about a half-mile away to counter Trump's rally … Trump’s event was held at the El Paso County Coliseum in the town that sits along the U.S.-Mexico border. The president announced his rally last week during his second State of the Union address, in which he alleged El Paso is now one of the nation's safest cities because of a "powerful barrier" that was put in place — a claim that others disputed. LAWMAKERS REACH 'AGREEMENT IN PRINCIPLE' IN BORDERS SECURITY TALKS: Congressional negotiators revealed Monday evening that they've reached an "agreement in principle" on border security funding that includes more than $1.3 billion for physical barriers along the U.S.-Mexico border ... Sources tell Fox News the $1.3 billion can be used only for new construction that would cover approximately 55 miles of border territory in the Rio Grande Valley. TRUMP CALLS NORTHAM CONTROVERSY 'PRETTY SAD,' STOPS SHORT OF DEMANDING GOVERNOR'S RESIGNATION: In an exclusive interview with Fox News' "The Ingraham Angle," President Trump sounded a note of pity for the "pretty sad" controversy surrounding embattled Virginia Democratic Gov. Ralph Northam, but stopped short of calling for his resignation ... Trump's comments came as the clamor for the resignation of Virginia's top two politicians seemed to die down Monday, with some black community leaders forgiving Northam over the blackface photograph in his medical school yearbook page, and calling for a fair hearing for Lt. Gov. Justin Fairfax on the sexual assault allegations against him. Meanwhile, Northam has suggested that the state's Democratic attorney general, Mark Herring, should consider stepping aside because he admitted to dressing in blackface in college. At a press conference earlier this month, Northam acknowledged that he had darkened his face when he dressed as singer Michael Jackson as part of a talent contest that same year. And hen asked if he still able to perform the Moonwalk -- Jackson's signature dance move -- Northam paused to look at the space next to him as if he was about to attempt the move, before his wife Pamela said it was "inappropriate circumstances." MOMS - Rachel Campos Duffy sits down with stay-at-home moms in her hometown of Wausau, Wisconsin. This roundtable discussion touches on topics like the sacrifices and benefits of staying home, how to navigate through life without a paycheck, mom wars and more. Watch a preview of the show now. Fox & Friends, 6 a.m. ET: Special guests include: Christopher Wilson, former pollster for Sen. Ted Cruz campaign, who will discuss Beto O'Rourket; Gary Sinise, Oscar-nominated actor, to talk about journey to becoming advocate for America's active duty defenders; Ricky Rebel, singer, who had pro-Trump message at Grammys; Rep. Lee Zeldin, R-NY, about Congresswoman Ilham Omar's apology Sherrif Leon Wilmot of Yuma County, Ariz., to discuss one of the biggest concerns - illegal immigration. The Story with Martha MacCallum, 7 p.m. ET: Special guests include: Juan Williams, Co-Host of "The Five." 1924: George Gershwin's "Rhapsody in Blue" premiered in New York. Fox News First is compiled by Fox News' Bryan Robinson. Fox News' Amy Lieu contributed to this newsletter. Thank you for joining us! Have a good day! We'll see you in your inbox first thing Tuesday morning.